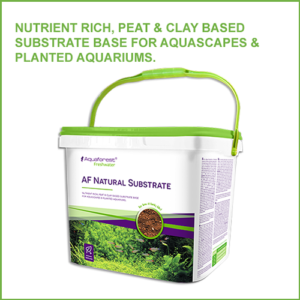 AF K Boost is a professional easily absorbing potassium fertiliser for aquatic plants. An important building block, potassium participates in many biochemical reactions, where it acts as an enzyme activator. Also responsible for osmotic regulation and transport of compounds in the plant. Potassium deficiency is manifested by yellowing of edges and tops of the leaves, leading to necrosis in the later phase. 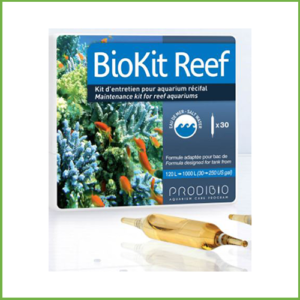 Potassium concentration in the aquarium should be 10-20 mg/l. 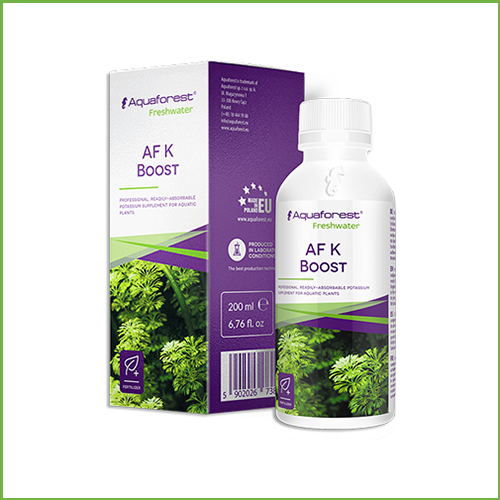 AF K Boost fully replenishes deficiencies of potassium, needed for aquatic plants. 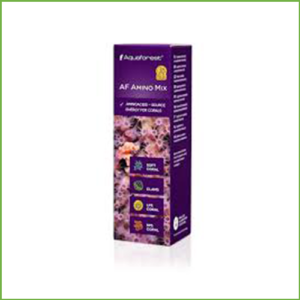 The formula is very quickly absorbed by the plants, thus the effects are visible within a short time of the application. 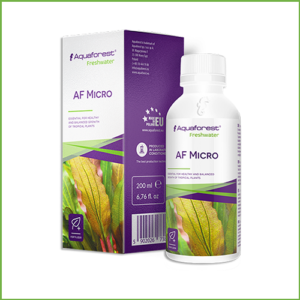 10 ml of AF K Boost per 100 litres of water raises potassium level by 4 mg/l. 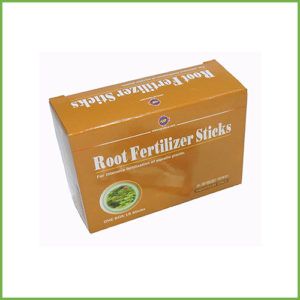 Supplementing should be continued until satisfactory results are achieved. 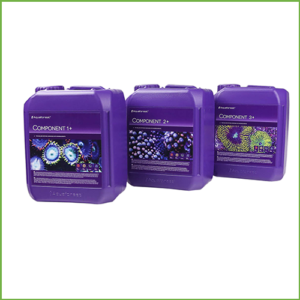 Recommended parallel use with AF Micro, AF PO4 Boost, and AF N Boost.